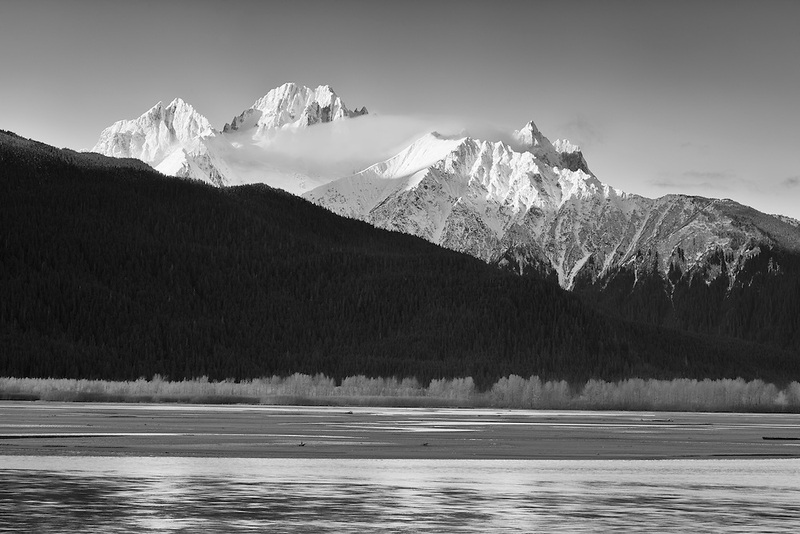 Sunrise creates alpenglow on the Chilkat Mountains and Chilkat River near the Chilkat Bald Eagle Preserve near Haines in Southeast Alaska. Morning. Winter.